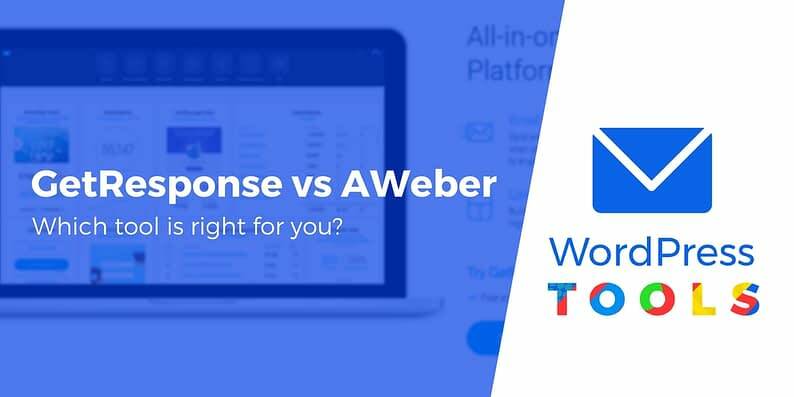 Struggling to choose between GetResponse vs AWeber to run your email marketing campaigns? The key to running a successful email marketing campaign is choosing the right tool. But with so many quality options, it can be tough to choose between services like GetResponse and AWeber. Both services offer tools that can help you build an email list and improve conversions. What’s more, each can be integrated with your WordPress website. However, there are enough distinctions between the two that it is possible to make an informed choice. In this post, we’ll introduce GetResponse vs AWeber. Then we’ll compare these services based on features, ease of use, pricing, and more. Let’s start with the basics! This company actually offers a number of associated products. The email marketing service in particular helps you create emails, and send them out to your entire list or only a particular segment. You can even track and optimize your campaigns. It offers a lot of the same features as GetResponse – a customizable email list, analytics tools, and so on. However, AWeber is all about segmentation and automation. It markets itself towards busy business owners who want their email campaigns to be hands-off. Both of these services are well-known and reputable options. This can make choosing between them difficult. To help you out, let’s explore each in more detail. In the following sections, we’ll compare GetResponse vs AWeber based on four criteria. By the end, you’ll have the necessary information to make the right choice for your marketing campaign. This is probably the most important criteria when choosing an email marketing service. Over 500 pre-built email templates, and a drag-and-drop editor for building emails. Dynamic content options that help you personalize each email. Over 700 email templates, all of which are mobile-responsive, and a drag-and-drop editor for customizing them. The ability to fully schedule each email campaign in advance. 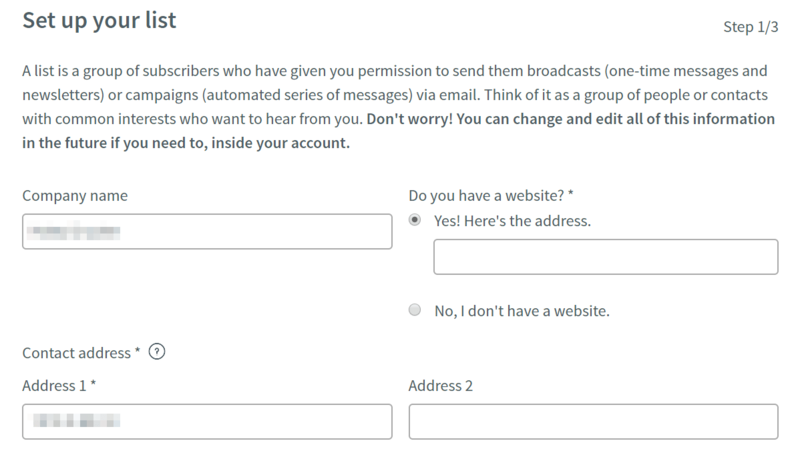 Mobile-friendly, customizable sign-up forms for gathering email addresses. A suite of mobile apps, so you can manage your campaigns from anywhere. 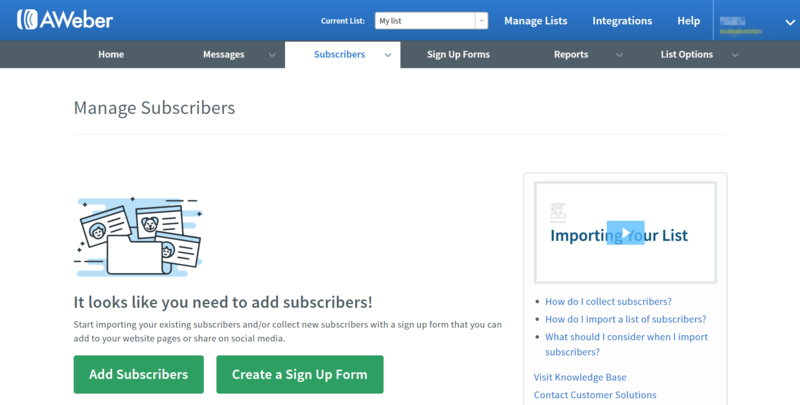 Functionality for creating segmented subscriber lists. Email tracking, so you can view open rates, click-throughs, and more. 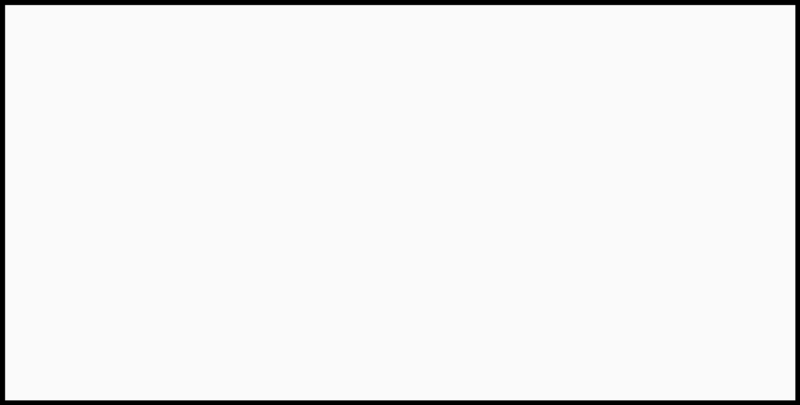 As you can see, both services cover all of the basics you’ll need for a successful email campaign. However, GetResponse provides more functionality for building and customizing your emails, and its Perfect Timing feature is key for maximizing your open rates. On the other hand, AWeber provides a lot of automation options, and is particularly well optimized for mobile devices. Next up in our comparison of GetResponse vs AWeber, let’s take a look at how much you’ll pay for the features mentioned above. Each platform offers a range of pricing options. The main difference between these plans is how many subscribers you can add to your list. Otherwise, all of AWeber’s features are included with even the cheapest plan. If you need room for more than 25,000 subscribers, you can also get a personalized quote. This platform offers four tiers of service, ranging from $15 per month to a whopping $1,199. Plus, if you click on the arrow next to List size for each plan, you can choose from a number of additional options. The prices will change dynamically depending on your selection, which means you can customize exactly what features and email list capacity you need. 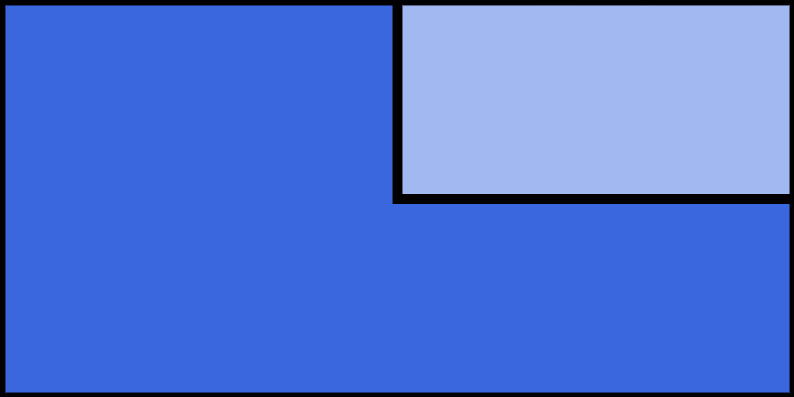 GetResponse also provides a different feature set for each tier. At the most basic level, you’ll get access to the autoresponders and landing pages, as well as some automation functionality. Higher tiers offer more features, and allow for additional users. With this tool, you can create sign-up forms in AWeber, and place them on your WordPress site. You can also let visitors opt into your list when they leave a comment or register for an account. This tool also lets you add opt-in forms to your site, and enables sign-ups alongside comments and registrations. 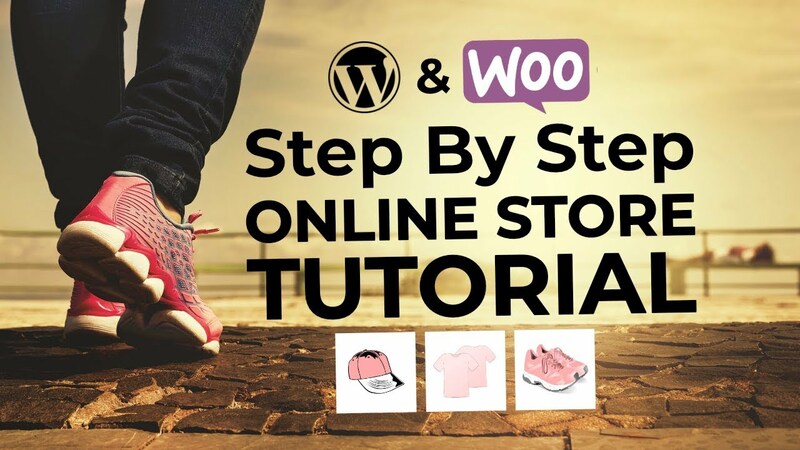 In addition, it integrates with Contact Form 7, BuddyPress, and WooCommerce. It’s worth noting that while these official plugins are kept up-to-date, both have fairly poor ratings. Some users have had trouble getting them to work properly, or have found their functionality lacking. As a consequence, you’ll want to carefully test these plugins before using them on a live site. There are alternatives you can use – most WordPress opt-in plugins will support both GetResponse and AWeber. For example, Optin Cat offers both a GetResponse integration plugin and an AWeber integration plugin, both of which are kept updated and have good reviews. These tools will let you create and insert sign-up forms on your WordPress site, and may be a better option than using the official plugins. 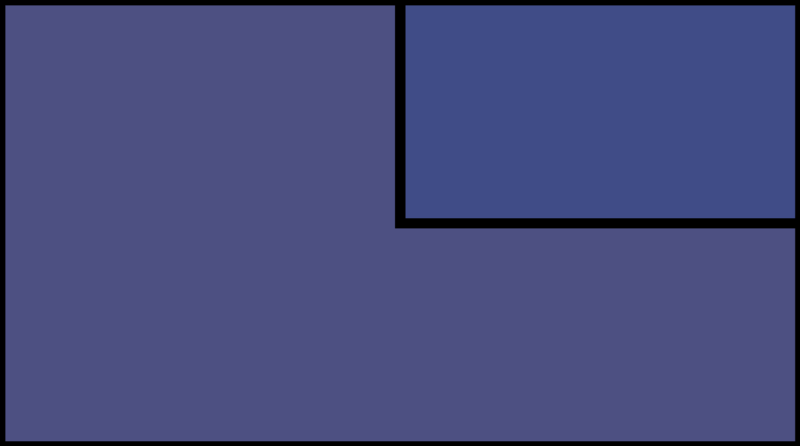 Here, you can use the various tabs to start setting up your campaign. You can add people to your list, create messages, build sign-up forms, and so on. All of these features are very easy to use. Plus, there’s a comprehensive knowledge base to help you out if you need assistance. You can use the buttons at the top of the screen (or the handy Quick actions menu) to start creating your list, building emails, setting up the automation features, etc. There’s more of a learning curve to navigating this dashboard. However, using each feature is pretty straightforward, and there’s a dedicated help center to answer any questions you might have. GetResponse vs AWeber: Which service should you choose? AWeber. 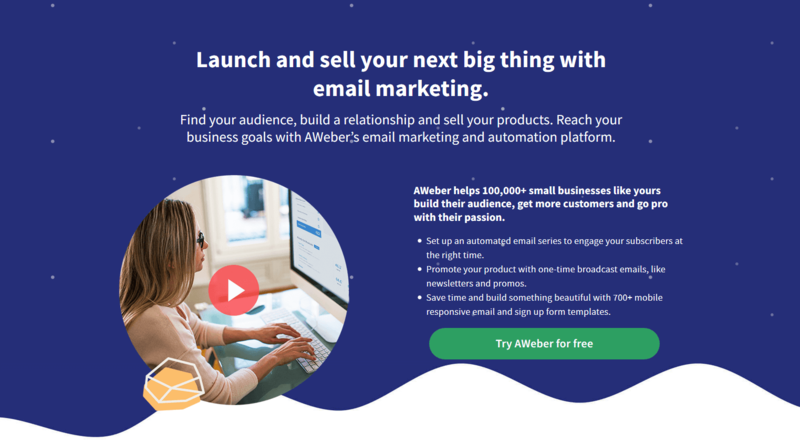 If you want complete control over how your emails look, and you’re hoping to personalize and target them precisely, AWeber is your go-to service. It gives you the utmost in control over your email marketing campaigns. Plus, its dashboard is more user-friendly. GetResponse. If you’re a busy person and want your email campaigns to essentially run themselves, GetResponse is a lifesaver. It offers the most in terms of automation. This platform also has an edge in pricing, since you can customize your plan to fit your exact needs. If you’re still on the fence, we encourage you to sign up for both services’ free trials and give them a test run. Ultimately, what matters most is that you feel comfortable using your chosen email marketing platform, and there’s no better way to judge than by taking each one for a test drive. Changing email marketing services midway through a campaign is possible, but it’s not a fun process. To avoid this scenario and give yourself the best possible chance of success, you’ll want to choose your tools carefully and do plenty of research beforehand. GetResponse: This service is best suited to busy professionals who want to create fully-automated campaigns. AWeber: With this platform, you get total control over how your messages look and the way they’re targeted. Have you ever used GetResponse or AWeber, and what did you think? Share your experiences with us in the comments section below!